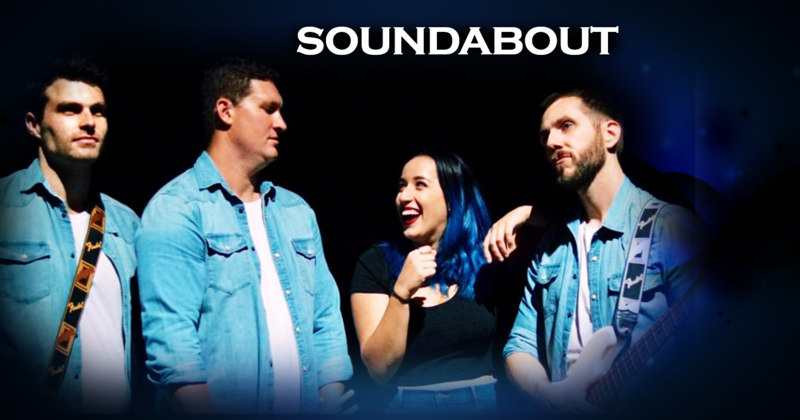 Soundabout is a fun and energetic four-piece band that brings a great mix of songs to get people dancing and singing along. The band members pride themselves on their ability to put on a great show that keeps audiences engaged and wanting more as they cover the biggest hits from the last 50 years. When the band steps on stage they add their own originality and enjoy putting their musicality on display, leaving the audience in awe waiting for what will come next. One thing is for sure, at every Soundabout gig you can expect to hear songs ranging from pop, rock, funk, RnB to hip hop… And don’t be surprised if you find yourself with a band member playing right next to you at the back of the venue. Soundabout play wirelessly which allows them to step off the stage to take the performance to the audience. If you happen to see Soundabout in their element performing, make sure you say hey! You can catch Chiara on vocals, Andy on guitar, Jamie on bass and Simon on drums. So what are you waiting for? Make an enquiry and let Soundabout make your venue or function the talk of the town!